Relaxing Day With BFFs | So Many Exciting and Beautiful Places! This morning, we picked up a rental car near the resort. It’s so much less expensive than renting at the airport, and we could walk the half mile to the rental location. Off we went to do a little exploring. Palm Desert is a fairly easy city to negotiate. 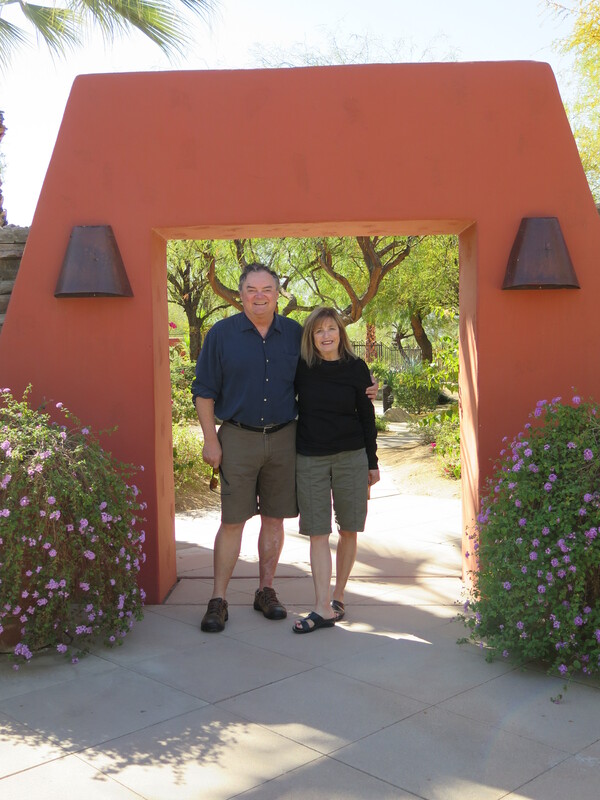 This afternoon, we drove to Palm Springs, about 30 minutes away, to pick up our close friends, Sally and Jeff. They spend a week or two every year in this area, and we were able to coordinate our travel to be here at the same time. We brought them back to our resort to spend the night. We stopped at the local grocery store, within walking distance, and picked up ingredients for dinner. The men tended the steaks on the grill while Sally prepared the garlic bread and I made a mediterranean pasta dish (garlic, mushrooms, sun-dried tomatoes, kalamata olives and feta cheese). For dessert we enjoyed some port. Sally figures out how to use the convection oven. Mark and Jeff tending the grill. It was a treat to spend some time with these awesome friends while we are here. This entry was posted in California, USA Travel and tagged California, Palm Desert. Bookmark the permalink.